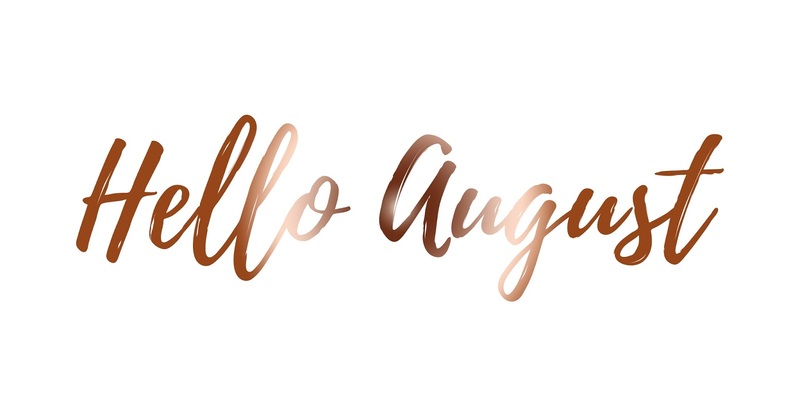 It's finally the beginning of August and of course we're back again with a post for the month! I cannot believe how quickly July flew by and I say this with every single month but wow, July went by quicker than all the rest! I absolutely loved July for so many different reasons. I not only finished my job in the School for the year but I then started my new job in a children's summer camp which I am absolutely loving and this is why you're hardly ever hearing anything from me because I am either working or sleeping; there's no in between! It was also Luke's birthday in July and I have met so many people in the past month; I have loved it so much. However, August also has so much to bring; not only am I working full time throughout August but I'm going to London with everyone who I work with for a get together and a time to basically get absolutely slaughtered. I am also having a week off to relax and do absolutely nothing; gosh you have no idea how much I am looking forward to some time off. Recently I have been posting over on Twitter and Instagram about some things which are happening soon and I cannot wait to tell you what's going on. I say soon, it's not soon; it's in about a year but it's still very exciting but I want to make it completely official before I make it public! Once again, I apologise for the random posting and never knowing whether a post is going live or not; working full time, having a life, seeing my boyfriend and blogging is a real struggle right now so there will be some quiet times on my blog, social media and in my email but I am around!